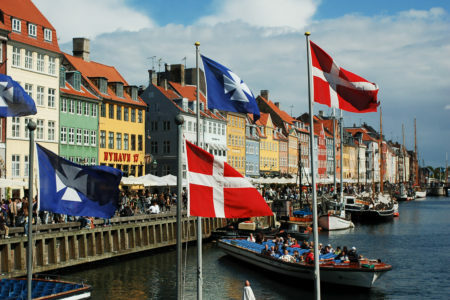 As the leading provider of evening language courses across the UK Cactus Language is one of the few language schools that offers multiple start dates a year for the languages of The Netherlands, Denmark, Sweden and Norway. We have seen a dramatic increase in popularity for Northern European languages for a multitude of reasons. Year on year these countries have demonstrated that they are world leaders in sustainable industries, fiscal growth, progressive politics, equality for all, and the happiness and health of their people. There is much to be admired and many people dream of making the move to one of these open-minded and successful countries. There are 27 million Dutch speakers in the world: the Netherlands, Belgium, 200.000 in Suriname and in the Dutch Caribbean. Not including the 10 million Afrikaans speakers in South Africa and Namibia, as Dutch and Afrikaans are mutually intelligible. Norway is one of the top countries in the world for attracting foreign investment, particularly in the electrometallurgical and electrochemical industries. Sweden has universal health care, child care is heavily subsidized and university tuition is free. And Denmark? Well, Denmark has the a�?happiest people in the worlda��. If you are thinking of learning a Northern European language then have a look at our 10 week evening language courses in London, which run throughout the year. Alternatively you can find out more about private tuition anywhere in the world with our corporate language training division. This June is Dutch month at Cactus. If you are currently studying Dutch or you are interested in doing it, this is the perfect month for you! Throughout June we will be posting videos of our #dutchwordoftheday which will show you the correct spelling, translation and pronunciation of new vocabulary. You will find our #dutchwordoftheday across our social media channels Facebook, Twitter, Instagram, Google Plus and You Tube. You will also have the chance to discover some interesting facts and expressions about the Dutch language as well as beautiful destinations where you can practise your Dutch language skills.